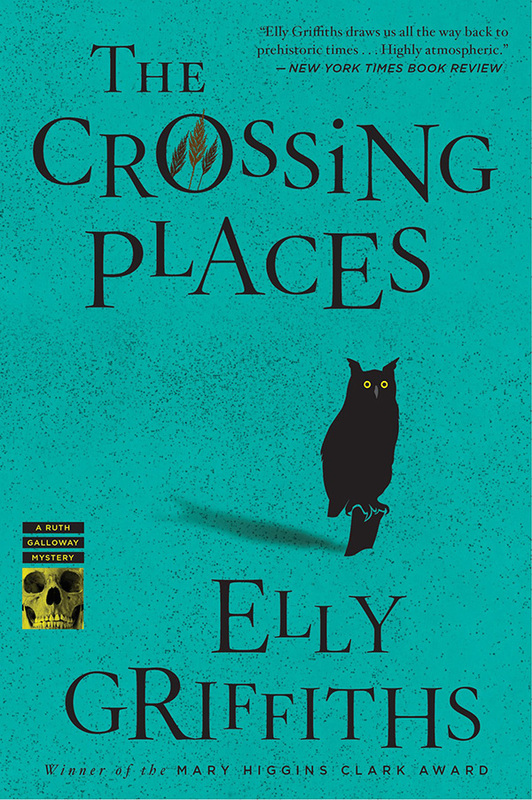 I read The Crossing Places by Elly Griffiths in one sitting! Seriously! I. Could. Not. Put. It. Down. I love the protagonist Ruth Galloway: late thirties; single; owner of two cats; and passionate archeologist. Her ‘self-talk’ was spot on, bemoaning the fact that she is now a size 16; realising that her cats are most probably substitute children, and thinking that her childbearing years are over. She is self-deprecating, but also very focussed and aware of her skills and expertise in her field. She is complex enough to be relatable, without being too complicated (if that makes sense). She loves her home, an isolated cottage overlooking salt marshes and gazing towards the North Sea in Norfolk. Which brings us to the next major character: the landscape. Griffiths’ descriptions of this wild coast are thrilling, frightening and totally bewitching. Without this landscape, the book would not have sung as it does. It is refreshing to be immersed in an English landscape that is not full of thatched roofs and lace curtains. Ruth specialises in dating bones. When a child’s bones are discovered in the marshes close to an ancient site that Ruth helped excavated ten years ago, she is asked to date them. The police officer in charge of the case, DCI Harry Nelson, is hoping they belong to Lucy Downey, who went missing ten years ago. They do not. They are two thousand years old: thrilling news for Ruth and her archeologist colleagues, but bitterly disappointing to Nelson. When another young girl goes missing, Ruth becomes embroiled in Nelson’s investigation. This is the first book in a series with Ruth Galloway, forensic archaeologist, as the main character. It is not a perfect book – I found the third person narrative difficult and a bit awkward, and I had worked out who the villain was pretty early in the narrative. However, this is only the first book, and I am really hoping that the writing improves as the series develops. I am certainly looking forward to exploring the Norfolk coast with Dr Ruth Galloway again.